Health authorities in the U.S. have referred to “fluoridation” as one of the 20th century’s top 10 public health achievements – most other countries don’t share this view. The fact is, more people consume artificially fluoridated water in the United States than in the rest of the world. 97% of the population in western Europe have water without fluoride added to it. Proponents of fluoridation often say that’s because Europe adds fluoride to salt. What’s important to note that only 5 western Europe nations fluoridate their salt. There isn’t a biochemical process in the body that has been proven to benefit from fluoride. Thanks to the expanded sources of fluoride exposure, human health risks have increased. As a result, it’s important to reduce fluoride exposure, including fluoridated water, some dental materials, and other fluoridated products. In 2012 over 67% of Americans consumed fluoridated water, with approximately 11 million people consuming it above the “optimal” level (levels date back to 1962), according to the CDC. Then in 2015, the U.S. Department of Health and Human Services proclaimed that the so called “optimal” level of fluoride was in fact set too high, resulting in 40% of U.S. teens showing symptoms of overexposure (dental fluorosis). Can Consuming Lower Levels of Fluoride Help You Avoid Overexposure? Seeing that the majority of Americans get fluoride from a wide variety of sources (some mouthwashes, toothpaste, processed foods, and beverages), along with the fact that it accumulates in the body over time, odds are this lower level is still going to pose a health risk for most people. The potential dangers generated from exposure to fluoride are generally overlooked. Gender, age, genetic factors, weight, nutritional status and other factors can influence each individual’s unique reaction to fluoride. Excessive exposure to fluoride can cause dental fluorosis, a condition that can irreversibly damage tooth enamel. In addition, teeth end up permanently discolored, exhibiting a brown or a white mottling pattern, also causing brittle teeth that stain and break easily. Dental fluorosis is the first noticeable sign of fluoride toxicity and a warning sign of other human health risks related to fluoride exposure. A 2010 report from the CDC (Centers for Disease Control and Prevention) found that 23% of U.S. citizens between the ages of 6 and 49 and 41% of children between the ages of 12 and 15 exhibited fluorosis to some extent. Further assessment of the CDC’s report demonstrates that 58% of children between the ages of 6 and 19 have fluorosis. Fluoride’s role as an endocrine disruptor (chemicals that can interfere with endocrine systems) have been largely overlooked. The fact is that fluoride has been definitively identified as an endocrine disruptor in a report released in 2006 by the U.S. National Research Council of the National Academies. 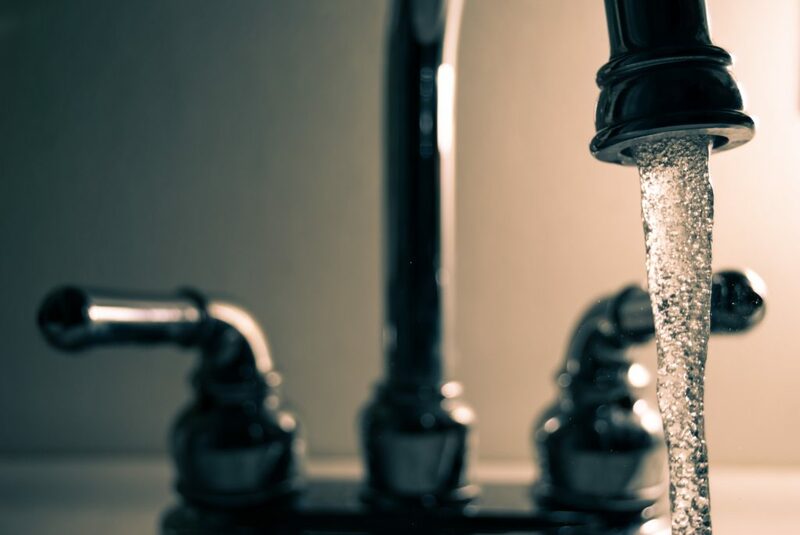 Childhood exposure to fluoride is vitally important to consider, an issue which was made evident in a study published in the Environmental Health Perspectives journal. The study linked fluoride utero exposure with lower IQs. Also, important to note is that fluoride has been recognized as one of 12 toxic industrial chemicals acknowledged to cause developmental neurotoxicity. We’re all consuming fluoride to some extent, even if we’re doing our best to avoid fluoridated water. The fact is, numerous non-organic foods are loaded with fluoride because of pesticide residues that are commonly used on them. Grapes and iceberg lettuce are two of the highest sources of fluoride). Iceberg lettuce contains 180 ppm of fluoride – that’s a frightening 180 times higher than what is deemed a safe amount in drinking water. Even supporters of fluoridation acknowledge that the primary benefits are only topical. When it comes to dental purposes, fluoride only works from the exterior area of teeth, not from inside of the body. So why consume it? The fluoride added to drinking water is actually a chemical waste product. It isn’t something we should be putting into our bodies!